When people picture a Mercedes-Benz vehicle, they often picture this car. It's a distinguished yet sporty coupe, which first graced British shores in 1997. Combining the C-Class with the E-Class, this is a prestigious car that's loved throughout the world. If you're looking for a cost-effective Mercedes-Benz, you might as well start here! They've reiterated the model during its lifespan, but it still remains a large imposing vehicle. Several trims and optional extras were available on all models, so be sure to keep an eye out for those. Later generations have a whole host of cool gadgets, and their safety and comfort are increased too. You'll enjoy great performance and handling across the used Mercedes-Benz CLK range. As with other vehicles from Mercedes, these perform at their best during motorway driving, yet they also perform admirably in corners too. This is a solid option as a used-car purchase, so don't miss out on a potential bargain. 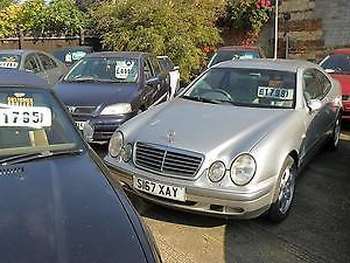 Got a specific Mercedes-Benz CLK model in mind?